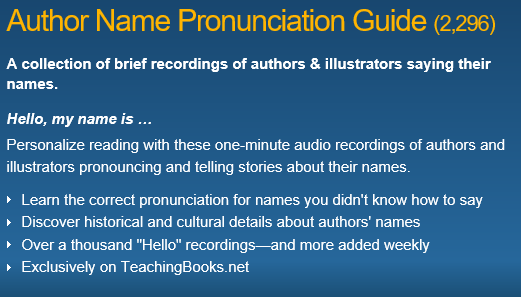 Let me introduce you to my FAVORITE library resource: TeachingBooks.net, particularly the section entitled Author Name Pronunciation Guide. This section has saved me multiple times! Have you ever wondered how to say an author’s name? Maybe you’ve been saying it one way, you hear a friend say it another way, and then you start second-guessing yourself? I do this all. the. time. So confusing. This problem is just like when you say a word out-loud that you have only ever read before just to have someone correct you and say that you’re pronouncing it wrong. Super annoying, right? 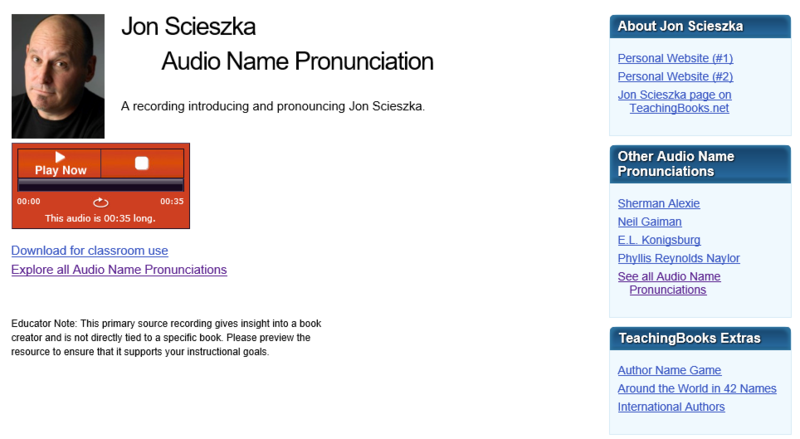 Well, lucky for all of us the Author Name Pronunciation Guide at TeachingBooks.net exists. We’ll all become expert author name pronunciators and can spread our knowledge to others! Sounds perfect. Now let’s find out where the Author Name Pronunciation Guide is! 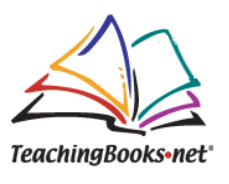 Go to TeachingBooks.net. 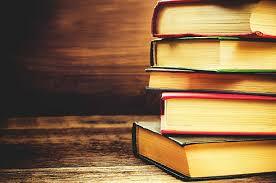 On the home page in the banner bar at the top of the page, click Author & Book Resources. That will bring you to a page that looks like the one below! Click on Audio Name Pronunciations. Viola! Now you’re at the Author Name Pronunciation Guide which hopefully will start off with the following paragraph. If you click on the orange play button, you’ll hear Jon Scieszka pronounce his name and talk some more. It’s awesome. It also connects you to author’s personal websites and their own page on TeachingBooks.net. Now play around and find out how to pronounce some author names! 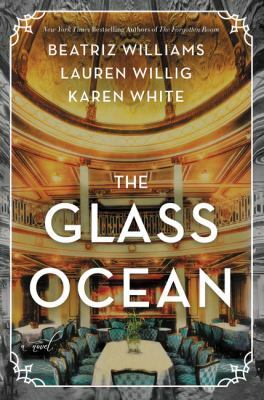 It’s definitely one of my favorite not-well-known librarian resources. I also encourage you to click around the regular TeachingBooks.net site because there are a ton of other really good resources there. Who knows, maybe I’ll blog about them in the future!